'I've long wished perfumery to be taken seriously as an art, and for scent critics to be as fierce as opera critics, and for the wearers of certain "fragrances" to be hissed in public, while others are cheered. This year has brought Perfumes: The Guide by Luca Turin and Tania Sanchez, which I breathed in, rather than read, in one delighted gulp.' Hilary Mantel, Guardian Perfumes: The Guide is the culmination of Turin's lifelong obsession and rare scientific flair and Sanchez's stylish and devoted blogging about every scent that she's ever loved and loathed. Together they make a fine and utterly persuasive argument for the unrecognised craft of perfume-making. 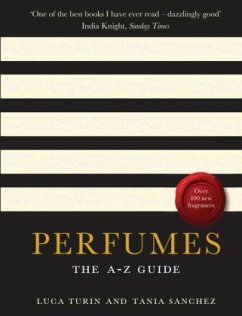 Perfume writing has certainly never been this honest, compelling or downright entertaining. Luca Turin is a scientist with a controversial theory of how we smell. He is the author of The Secret of Scent and the subject of the bestsellingEmperor of Scent. Tania Sanchez is a perfume collector and expert, and journalist.